Eskisehir has undergone a remarkable transformation. Many cities are looking for a new future after the decline of traditional manufacturing industries. From the American Rust Belt to Europe’s industrial heartlands, mayors are striving to reinvigorate and reinvent, while cleaning up the pollution left by heavy industry. After a devastating earthquake, Eskişehir’s government and civil society embarked on a 25-year effort to rebuild and revitalize the city. That’s the situation Yılmaz Büyükerşen faced in 1999 as the newly elected mayor of Eskişehir, Turkey’s 11th largest city. “I always had dreams about this city. Of course, as the population increased and industry grew, pollution from industry made it unlivable,” Büyükerşen told WRI. Mayor Yilmaz Büyükerşen reimagined the city of Eskişehir after decades of decline. Long past its heyday as a stop on the Berlin-Baghdad railway, Eskişehir had become choked by traffic congestion and toxic sludge. Its main waterway, the Porsuk River, had devolved into a dumping site that threatened a public health crisis every time it flooded. Residents saw few prospects for a brighter future. To make matters worse, just six months into Büyükerşen’s term a 7.8 magnitude earthquake struck the region, killing 37 people and damaging critical infrastructure, including many of the city’s bridges. But here Büyükerşen and a broad coalition of civil society groups flipped the disaster on its head. 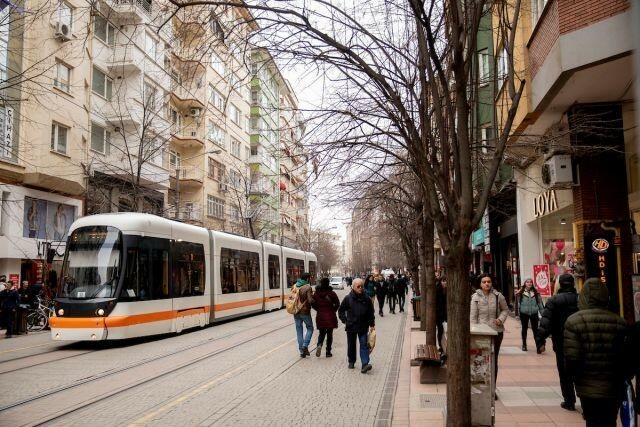 They took the earthquake as a wake-up call and kicked off the Eskişehir Urban Development Project: an integrated series of investments to modernize transport and clean up the environment. The project not only rebuilt the city’s infrastructure, but ultimately rewrote the city’s story. 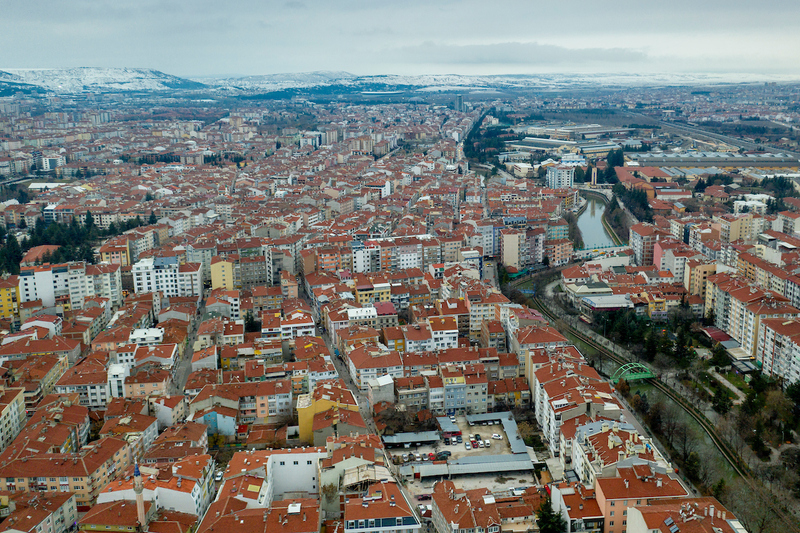 The Eskişehir Urban Development Project is a finalist for the WRI Ross Prize for Cities. Learn more here. The earthquake response went far beyond simple reconstruction. The mayor and his team, many hailing from Eskişehir’s Anadolu University, wasted no time. They galvanized stakeholders – academics, industry representatives, the chamber of commerce and advocates of those with special mobility needs – to develop priority projects to rebuild and modernize the city. Construction trucks and building equipment were familiar sights in the early years of the administration. Work began with restoring the Porsuk River – dredging to remove truckloads of sludge and debris, upgrading wastewater infrastructure and putting in flood protection. Then Büyükerşen’s team set about building a new public transport network, and reserving parts of the city center for pedestrians. 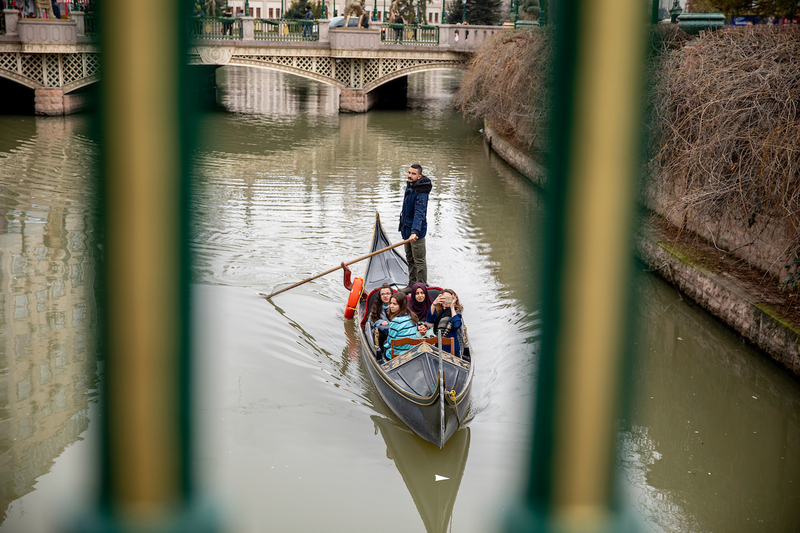 Eskişehir is Turkey’s 11th largest city and, after a 25-year revitalization effort, a model for sustainability and inclusivity. Initially, not all of the changes were well-liked. Residents became impatient during construction, and shop owners worried business would drop if cars couldn’t park downtown. But public opinion quickly shifted. Less than two years after construction started, the first line of Eskişehir’s new light rail system opened. EsTram connected key public destinations like hospitals, universities, parks and theaters. Shoppers flocked downtown faster than ever using the tram, and businesses saw more customers and revenue. Popular demand drove subsequent tram extensions and pedestrian streets. 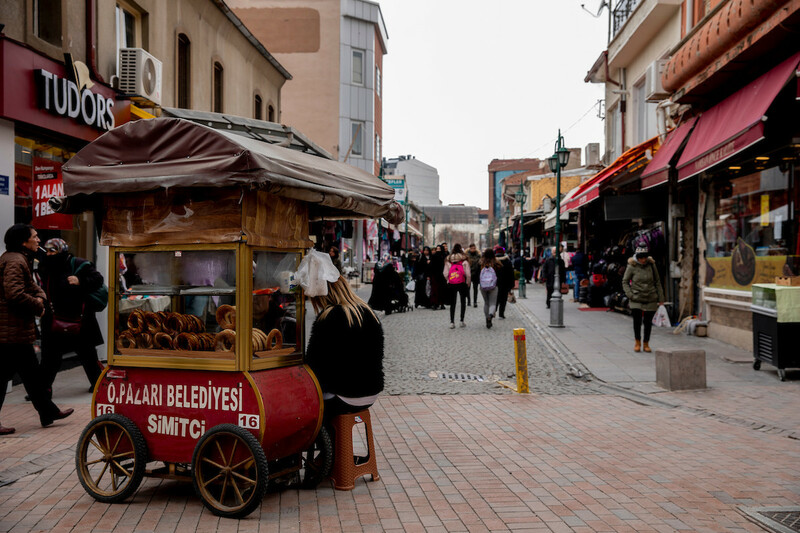 In Eskişehir, Turkey, innovations like car-free pedestrian streets have resulted in economic, social and environmental gains — as well as overwhelming civic pride. The city also rebuilt or renewed 24 bridges and replaced sidewalks throughout the city’s core. New parks opened along the river, including two large public spaces – Kentpark and the Sazova Science Art and Culture Park – to host art and cultural activities. Each project prioritized accessibility for all, including wheelchair users, the elderly and families with strollers. Level bridges replaced steep, arching bridges, and tram stops featured ramps and at-level boarding facilities. 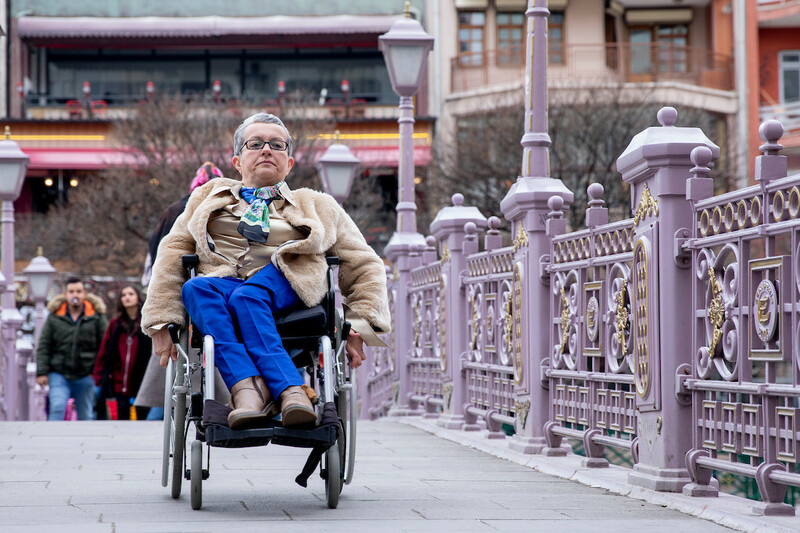 Emel Kapanoğlu, an advocate for people with special mobility needs, finds Eskişehir easier to navigate via wheelchair after upgrades to streets, bridges and public transport. Eskişehir’s commitment to an interwoven set of investments in both manmade and natural infrastructure is remarkable. The city took inspiration from others, adopting waterways like Venice and Amsterdam, major parks like London and New York, and central pedestrian areas and museums like Paris. Each investment, however, fit Eskişehir’s cultural history and local needs. Over two decades, restoration efforts transformed the Porsuk River from a toxic dumpsite back into a treasured destination for recreation. Domestic and international tourism increased by 430 percent and 820 percent respectively. Eskişehir’s economy and environment started to thrive. Property values tripled around tram stations. Residents could enjoy three times more green space per person. New flood and sewage controls kept the Porsuk cleaner and less likely to flood. But perhaps the most transformative shift has been in the mindset of residents. Fatma Korkmaz is a driver for Eskişehir’s electric tram. The tram has not only modernized the city’s transport, but changed its social fabric. Reclaiming space previously devoted to cars and giving it to people and nature has created a stronger community. 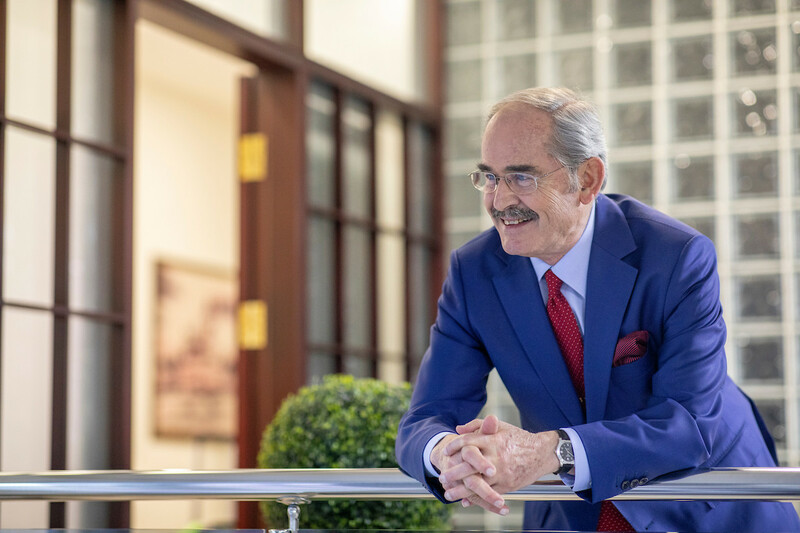 “The interaction of people, that positive environment, instantly pulls you in and integrates you into the city,” said Mustafa Kürşat, a student at Anadolu University. Mustafa Kürşat Elitok, a student in Eskişehir, walks with a classmate along the city’s improved streets. 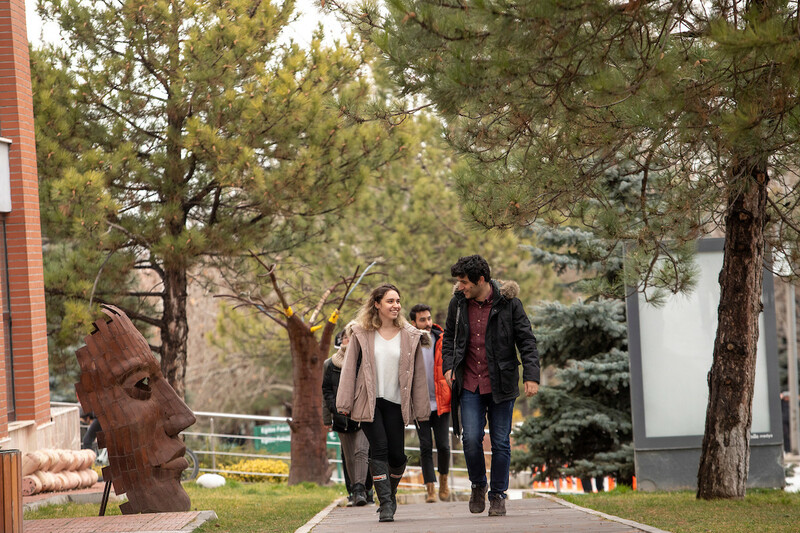 Through the Eskişehir Urban Development Project, Eskişehir transformed into a more inclusive city, one that promotes health and opportunity for more residents. City planners drew inspiration from elsewhere but developed a vision uniquely their own. Now, other cities turn to Eskişehir for inspiration. In 2014 the city of Brussels in Belgium began a landscape architecture project modeled after Eskişehir’s restoration and development of the Porsuk River. Awaza in Turkmenistan has upgraded its bridges much as Eskişehir did. This article is published in collaboration with the World Resources Institute.